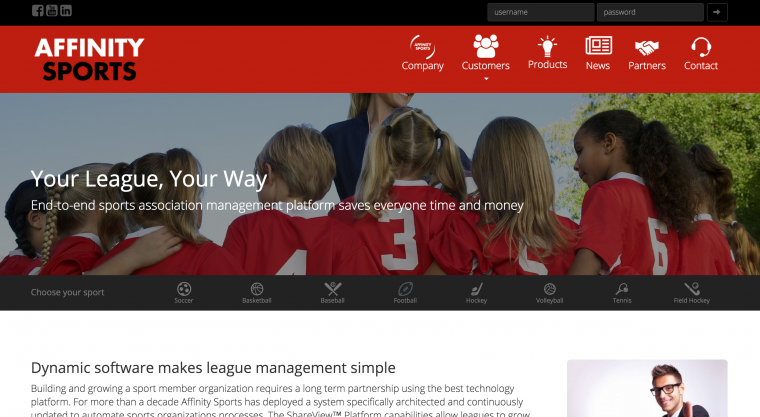 Affinity Sports came to us to undertake a redesign in their company website. What was an out dated website was not doing justice to the systems and products for which the company had developed. The effort was to be seen as the industry leader that they are. With the project feedback from customers as well as internal response from the company, the project was a great success. Moving forward we are a technology partner, for ongoing support, optimization and design. We believe relationships and support built on a partnership where we support the integration and technology allow us to deliver long lasting value and results.